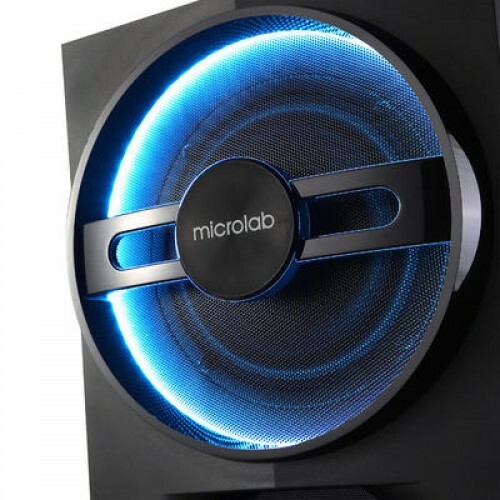 Microlab T10 Powerful 2.1 speaker system brings high quality gaming experience. It has Bluetooth technology for wireless sound entertainment. 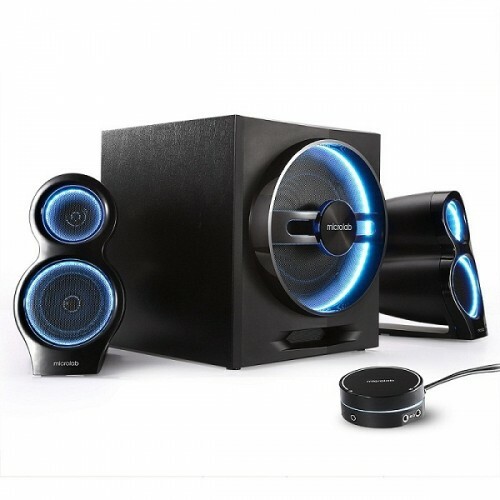 Three frequency drivers for full range audio performances.It's 56 watt power and three frequency drivers bring terrific games experience.Feel the bass of every single beat with 5.25 inch dedicated subwoofer. 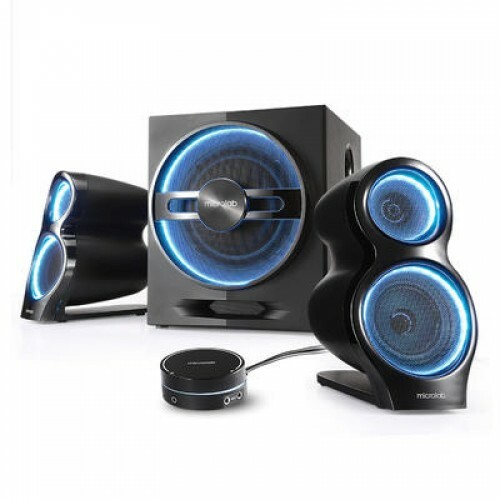 Supports Bluetooth ® 4.0 for wireless sound entertainment.Stunning LED breathing lights bring visual splendour. Wired remote control for quick operations Equiped with wired remote control for quick control. LED breathing lights bring visually striking entertainment. When you wanna go to bed, you can switch off the lights with remote control easily.So Perfect for any sound enjoyment especially for games.